watched the neil young vid , nice. I just looked...it's on YTube, but I'm too scared to watch it!!!! LOVE THIS JINGLE....you're a genius, Adam! @jenni-stringleman: He also looks quite a bit like Stein these days. @user-190938557: This is a commonly held belief and often repeated but there is no supporting evidence for this. I've just finished listening to this again >> such a great podcast! It would be fantastic if you could get Tim on again, as he clearly has enough stories for a hundred podcasts (and, given the speed at which he talks, he really packs them in). Re: your Christmas podcast with Joe, I'd love you to exchange gifts (as you always used to) and also talk about your cultural highlights of the year (films etc.) >> I'd highly recommend Ildiko Enyedi's On Body & Soul to anyone. I believe the politcally correct term is Non-Ferrous Primate Inclement Atmospheric Conditions when referring to it being Brass Monkey's out here ! lol..
Brass monkeys were the (brass) racks ships would store canonballs on. When it was cold they'd contract so the balls fell off. So I guess you can also attribute it to freezing your balls off like a brass monkey? Wow, this is a dream come true, especially after missing your Bug interview with Pope. Thank you! I wish his lost album would finally get a release date. Cure102 FM played songs from it in 1991 and they were magical. Two podcasts in one day! 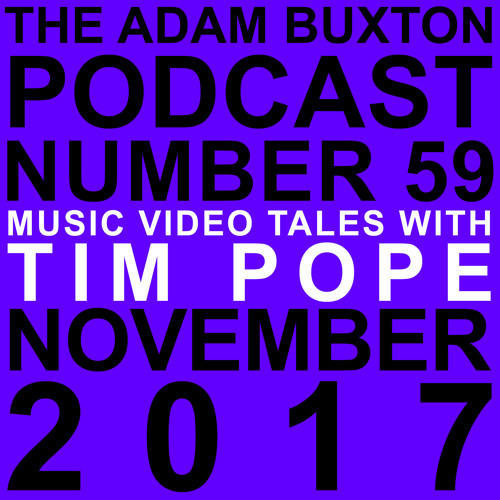 Really looking forward to hearing what Tim Pope has to say >> one of the best music video directors around (he's done so many good ones, but his work with The Cure and Talk Talk are what have made the biggest impression on me).